WP Tweet Machine (version 2.0) is a WordPress plugin, I just finished testing. 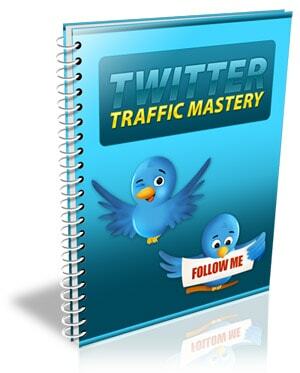 The plugin claims to generate REAL Twitter followers, on autopilot, 24/7 – and 100% for FREE. The account has real activity – people follow it, retweet its tweets, or like its tweets. 1) Posts Videos: You can select which YouTube channels or playlists to fetch videos from, and WP Tweet Machine will post videos from that source, on your Twitter account. You can select how frequently the videos will be posted. People love watching videos, so this feature is great for creating happy followers. 2) Posts Images: WP Tweet Machine can fetch images from Pixabay – a huge database of royalty-free images you can use on your website. You can enter a keyword, find tons of images, and select the ones you want. Then the plugin will randomly rotate through them and post them to your Twitter account along with the message you want. They say a picture is worth a thousand words. That’s why spicing up your tweets with images is so powerful. 3) Posts RSS feeds: You can enter RSS feeds to bring content from (like from content-rich authority blogs, for example). WP Tweet Machine will automatically post content from there on your Twitter account. This is a great way to curate high-quality content and share it with your followers. 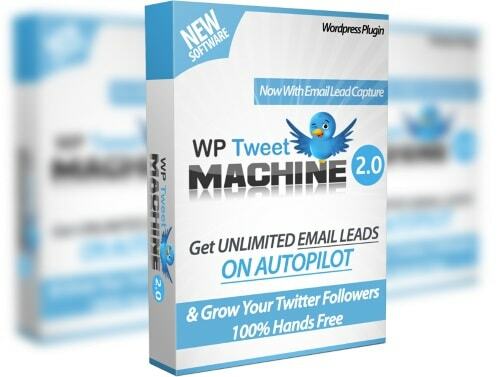 4) Builds email lists: WP Tweet Machine can also build an opt-in email list on complete autopilot. 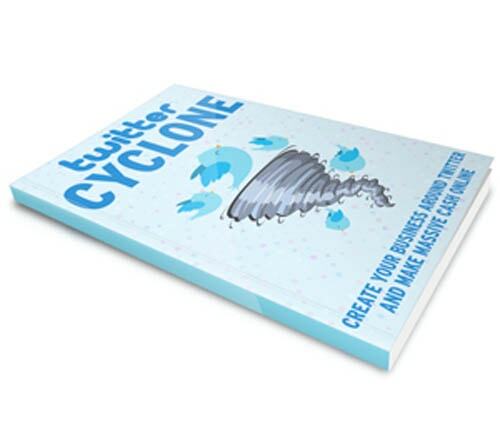 Twitter allows you to create “lead generation cards” for free. They are like ads, but people who view them can click twice and their Twitter email will be added to your email list. You can integrate any AutoResponder you want, or just get the leads and export them with one click. People don’t even need to enter their name or email. It’s all done automatically, as long as they are logged in to their Twitter accounts. 5) Posts custom messages: You can add your own custom messages. For example, your own images, text and URLs to promote. You can enter links to your affiliate links or landing pages and monetize your account. 6) Follows and Retweets: WP Tweet Machine can find tweets which have the specific #hashtags you specify, and then follow those people, or retweet their accounts. This is a great way to interact with other Twitter account owners. 7) Multi-site compatible: WP Tweet Machine is WordPress multi-site compatible: If you are using WordPress multi-site or my WP Empire Builder plugin, WP Tweet Machine will work with your set-up. Even though WP Tweet Machine will generate followers and clicks to your links, most people DON’T know how to set up their Twitter accounts properly, or how to run them. So, they will get limited results. That’s why I put together a WP Tweet Machine BONUS pack that will SOLVE THIS PROBLEM FOR YOU. You can check it out further down this page. Use the discount coupon greekgeek on the order pages of the OTOs. 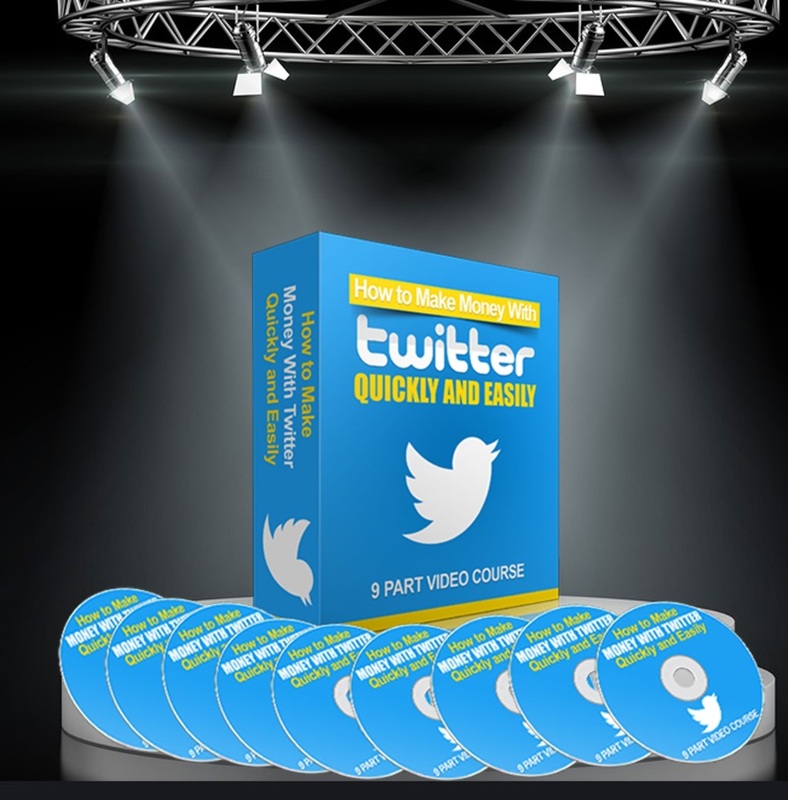 It allows you to connect UNLIMITED Twitter accounts and manage their growth from a single site (the standard version allows only 3). 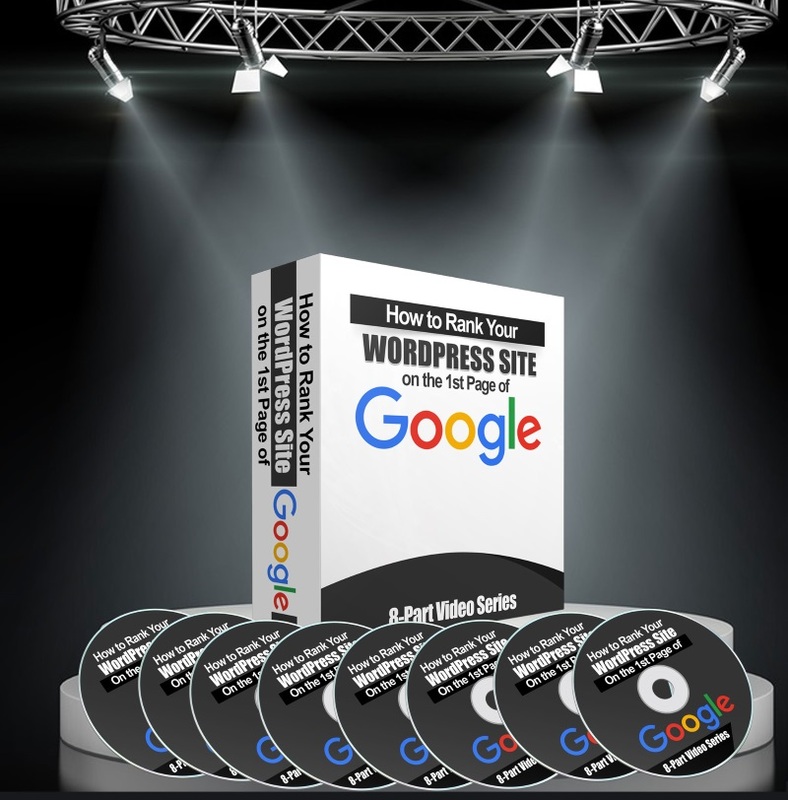 It also has features like growth graphs, reports, content curation where posts are first posted to your WP site and then the links are tweeted out. ($45 for one site, $47 for unlimited sites). 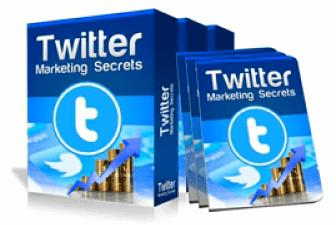 OTO 2 – WP Tweet Machine Developer version: This is for you, if you want to get paid by clients to add the plugin to their site and generate Twitter followers for them. $35 for one site, $37 for unlimited sites). OTO 3 – “Leads, Followers & Money” Masterclass: You’ll discover how to research a niche, advanced Twitter account setup techniques, finding viral videos, images and RSS feeds, the proper strategy to retweet and follow, how to engage and interact with others on Twitter, and last but not least, how to make money from Twitter ($35 for PDF-only version, $37 for PDFs and Videos). 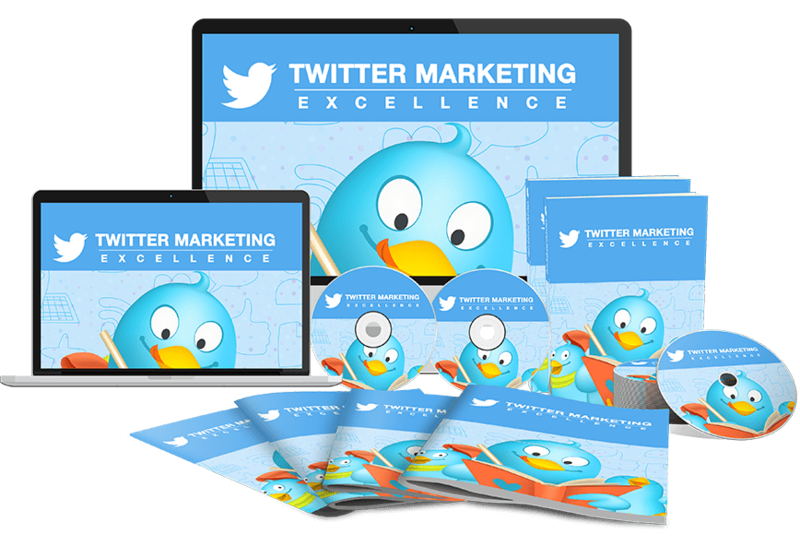 A Twitter training system that takes you by the hand and shows you how to safely skyrocket your online or offline business, in the shortest time ever – and enjoy as much high-quality traffic as you want. [+] Grow a huge army of potential clients or customers, 100% targeted to your business. [+] Productively interact with your new or existing clients or customers in order to scale your business to a whole new level of success. 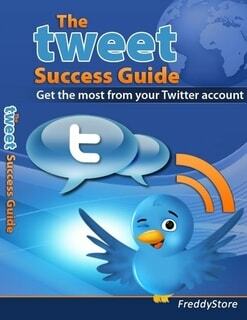 [+] Become a Twitter expert in an evening. Professional headers are very important, because they help you build your authority. Here’s your chance to instantly transform your tired and outdated Twitter page into a modern, mobile-ready presence. 101 header images to choose from. JPEG and PSD files included. 60% of the Fortune 500 companies now have a Twitter marketing strategy. Do they know something you don’t? 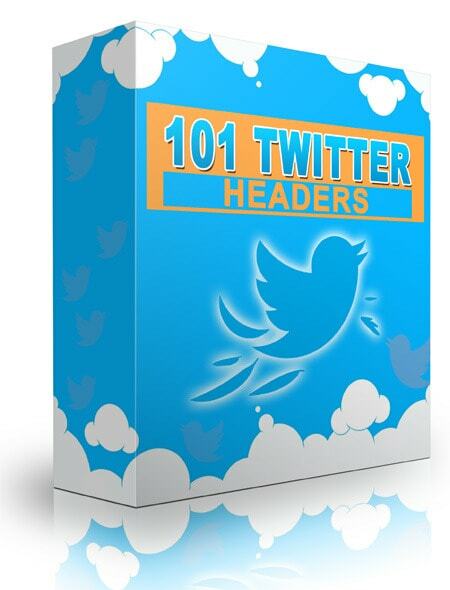 This guide will show you how to generate more leads than you can handle using Twitter. Here’s a simple to use software that will generate the easy-to-install code on your own website which will enable you to display pictures of your Twitter followers, those who follow you, or even your Twitter Friends (those who you follow). [+] How to get your profile ranked for your target keywords, guaranteed! 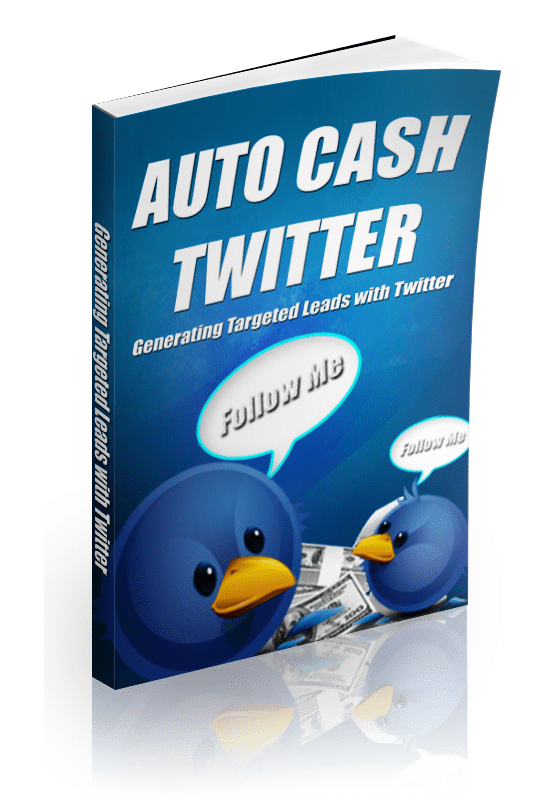 [+] The simple way to automate your twitter marketing so you can grow a list, monetize your account and market your websites on complete auto pilot! 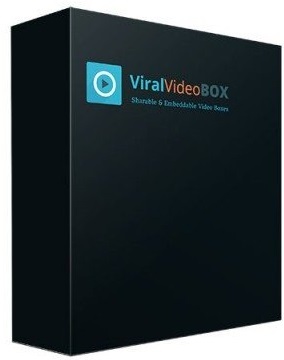 Creates engaging Tweetable content with cool-looking popups. Your site visitors can share your content easily, and generate even more traffic to your sites. Uses a simple wizard to create and preview shortcodes before you add them to your blog posts. 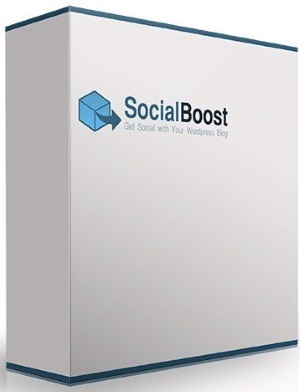 Turn any regular site into a super-charged social interacting one! It brands audio and video players with YOUR logo. 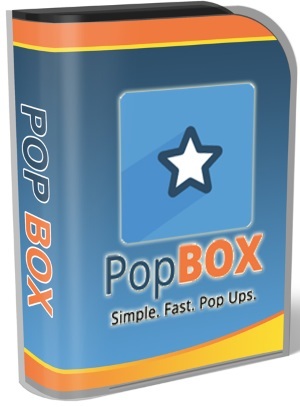 Adds call outs such as a pop-up notices, flashing buttons and auto-responder optin popups. Includes social media options, and even an embed code for users to share you customized playe. 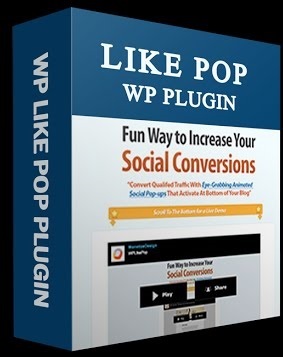 This plugin create all types of pop ups for your WordPress site, and builds your email list on autopilot. Allows your visitors to conveniently follow, like or subscribe to your social media page to keep informed about updates and new releases. Upon reaching the bottom of the page, your captivated viewers will be drawn to this convenient pop up. The variety of designs will allow you to select a theme that will match your WordPress blog which appears as a natural feature of your blog. There are also eye-catching effects that will draw attention to the widget that will match your theme. [+] Begin to profit within days or even hours in some cases – NOT weeks or months. 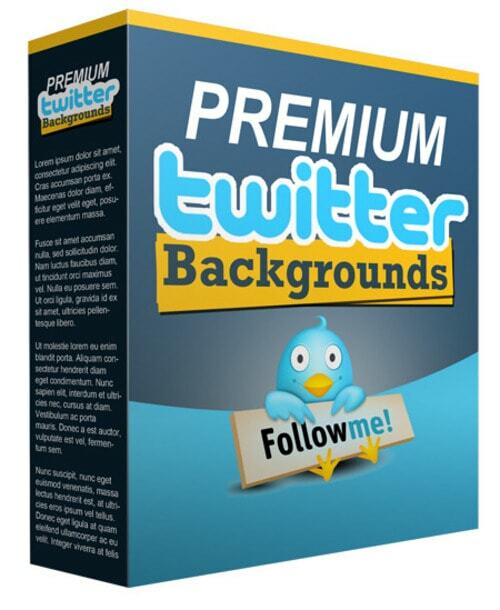 High-quality Twitter backgrounds – dress your Twitter account with one of the amazing backgrounds offered by this collection and ease the eyes of your followers. 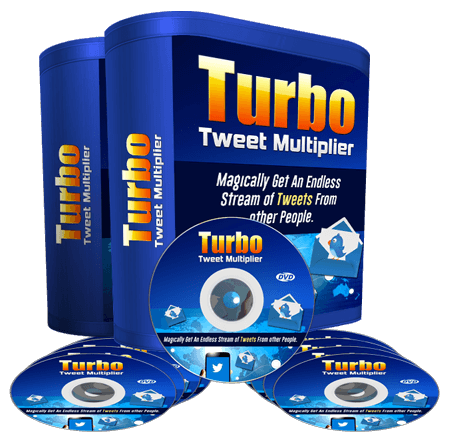 Do you want to get an endless stream of WILLING tweets from other people, without doing any work yourself? MemberPal is a WordPress plugin that allows you to sell your own digital products via Paypal and deliver them securely. You are getting a white-label license, and the ability to use all the professionally-made and high-converting sales materials and funnel. 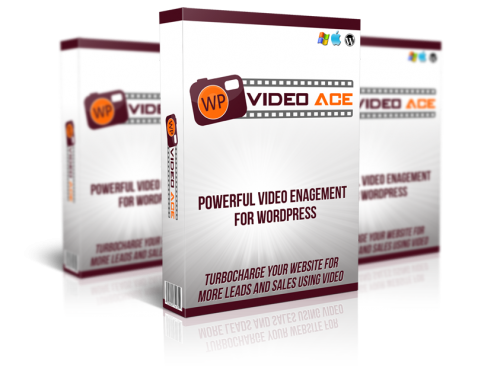 WP Video Ace is a WordPress plugin. It boosts conversions by up to 300% by creating a “smart” Video Player that forces engagement with your site’s visitors. If you have never purchased a product recommendation of mine before, you can click here to see how to claim your bonus. What is the front end price of Wp tweet machine ? WP Tweet Machine is live now, so you can see the price. Do keep in mind that it goes up every few hours. I always enjoy your insight and therefore I seek your advice before buying. I would like to recommend the following let us know in advance you will post a review. the reason why I bought from other provider had I known you were covering this I would have bought from you. When the plugin pulls the vidoes, images, retweets from keywords, etc does it also create a post to my blog? or my blog is just being used to install this plugin to work independently from whatever my blog is about? The Standard version doesn’t do this, the Pro does. The video does not show how to connect to the twitter accounts. What details does it need from twitter? And does it need the twitter accounts to be phone verified? In the “Support” tab of the plugin, you will find a video called “#2 Creating Your Twitter App.” That walks you through the process of linking your Twitter account (shouldn’t take more than 2 minutes). I don’t think the accounts need to be phone verified. Thank you for the review. I’m checking the sales page now. Is this set + forget? I do recommend you check how your twitter account is progressing from time to time, but for the most part, the plugin runs 24/7 and does its thing. I have verified that you purchased the Unlimited License of WP Tweet Machine v 2.0 from my link (thanks). You should be able to see my bonus inside your JVZoo area. Here are full instructions. I will also send you an email at the email address you used to post this comment with. I had the first version of this plugin…It worked pretty good….Was very curious what your review of version 2 was gonna be….Like i said before,..You are one of the Very Few People i Trust When It Comes To A Reviewing a plugin…..THANX GEORGE. http://jvz1.com/ has been offline for 2 days. Your link is dead. JVZoo had suffered a DDOS attack. Everything should be back to normal now. Please forgive me to ask you a silly question and allow me to post a comment in poor English. Does this WP Tweet Machine plugin work with any foreign languages other than English? I am a Japanese living in Japan. Therefore, I want to get only Japanese followers to my twitter accounts and I want to get only Japanese engage in activities, like retweets and comments, luring them to click my affiliate link, etc. There is a link for a pre-sale question on WP Tweet Machine sales page, but clicking that link only leads to the “ticket” submitting form for a plugin purchaser. I would appreciate your reply when you have free time available. Yes, the plugin should work with any language. Thank you very much for your reply comment. I have forgotten checking your blog for a few days and have missed your comment so far. 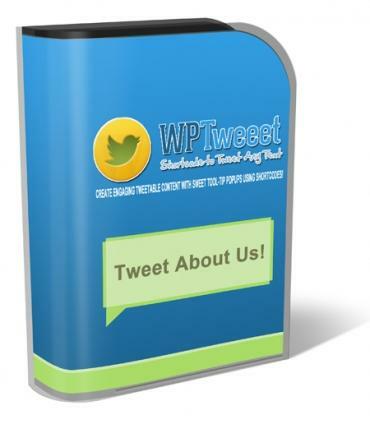 I am surely going to purchase WP Tweet Machine from your blog. I monetize my website with Google Adsense, hope I won’t have problem posting RSS feeds to my website, I mean with Google Adsense on my website, Hope I won’t get Banned. It’s been a long time since I used Adsense, so I’m not the best person to respond to this.